Ask a coffee lover what their first association of a fine morning is, and they will surely tell you: the smell of a freshly brewed espresso. Ask a busy person what is essential for them during long days, and they will answer: the kick they get from a cup of good espresso. Espresso is a quick, on-the-go drink, and if you want to reap the benefits and enjoy the aroma– even though you drink it before you are fully conscious, you need to choose the right beans and brewing. However, even with all that, not all espressos are good. Which is why you should consider taking coffee making into your own hands, by equipping your kitchen with an espresso machine. You just need a little patience, practice, a bag of quality coffee, and an espresso machine to become a better brewer than the best cafes in your city. The best thing about making your own coffee is that you can have it anytime you want and the way you want it. Oh, and let’s not forget that you will save quite an amount of money, which you are usually giving away for your daily espresso fix. Finally, despite popular belief, espresso machines do not have to be expensive. In fact, you can find a perfectly good espresso machine under 200 dollars. With our help, of course. 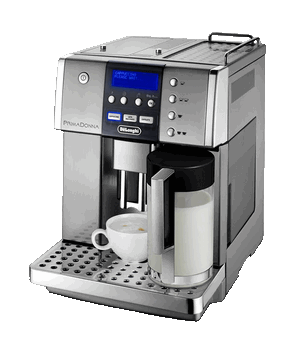 In the following text, you will find out all there is to know about good coffee machines for your home. And by the time you finish reading it, you will be able to pick the best espresso machine under 200 dollars that is perfect for satisfying all your needs, for your money. Espresso machines are just like any other product: although they all do the same job, they come with various features and characteristics. In this section, we will cover some of the main things that you should pay attention to when you are choosing a home Espresso Machine Under $200. The features that a coffee maker has heavily impacts the quality of the coffee. As part of a coffee maker’s feature set, there are a couple of things to consider. First is the pressurization method, which can be steam-powered or pump-powered. If you can choose – always go for pump powered pressurization. Another important factor is the brewing process.. There are three types of machines grouped by their brewing process: semi-automatic, automatic and super-automatic. Usually, going for a semi-automatic or a super automatic is the best choice of the three. Other features you might want to consider are the steam wand, the display, the water dispenser, and the portafilter size. Although espresso machines specialize in making espresso some of them do not stop there.You can find many coffee makers under 200 dollars that can also make macchiatos, Americanos, and cappuccinos. So, knowing your favorite type of coffee will definitely help you decide. Each machine has a different capacity. Deciding on the capacity you need is directly related to your needs and the amount of people you are planning to entertain. If you have a small family and plan to use it mainly for your personal needs, then a small espresso machine will be enough. However, if you need to serve more people look for ones that can make multiple cups of coffee at the same time. The previous point is closely connected to this one: some machines, usually those that are able to produce more cups at once take up much more space than others. So you need to know not only for what and how you are planning to use the machine, but also how much countertop space you can spare in your home. When you are buying a machine check the warranty period and be realistic about how much money you are willing to spend if an issue with the machine occurs after the warranty period. The best coffee comes out of a clean machine. That is why it is vital that you look for a machine that you can clean as easy as you can. In other words, look for a coffee maker that can be easily assembled and disassembled so all of its parts could be washed and cleaned often, without taking up too much time and effort. Last, but not least, you have to decide how much money you are willing to spend on a coffee maker. As the title of today’s review suggests, we believe that you can get all you need from a coffee maker for under 200 dollars. Don’t worry – for this price you can get much more from cheap espresso machines you find at department stores. The thing you should focus on is finding a machine with a good grinder“better price means better quality” doesn’t always apply.. In the end, the grinder and the beans are what make the coffee . So, if a machine is expensive, it might look pleasing to the eye, but it does not mean it has a good grinder or that it can make the best coffee. Another con of expensive machines is the price it will cost to fix even a small issue if a technical snag occurs. Above we covered the main features that you should consider when you are buying a machine, and below we will cover the types of machines that you can take into consideration. All these vary depending on the features explained above: the ease of cleaning, the complexity of their internal construction, the ease of use, required space, and the quality of the coffee they produce. A super automatic espresso maker is the priciest choice among the ones that will be covered below. This machine does everything for you. These machines feature a built-in coffee grinder, automatic water filling, and an option to automatically dispense frothed milk. Apart from being more expensive, they are also a bit bigger than other types, which means that they require more space, and have a more complex construction. Now, this does not mean you can easily find a machine to buy. Good coffee is a result of a good grinder, high-quality beans and temperature control. In other words, to make the most out of the coffee, the water temperature needs to be precise and consistent. So, when choosing the best super automatic espresso machine, the boiler plays a role as well. There are essentially three types of boiler systems: thermoblock, heat-exchange, and dual boilers. Semi-automatic espresso makers are a bit pricier than, capsule-based ones, but not as expensive as super-automatic espresso machines. If you buy a semi-automatic, you can expect to get an adjustable water and steam flow, a pump that is manually controlled, automated water pressure and temperature, and no built-in grinder. Hence, they offer the most flexibility when it comes to brewing, and even better, are very compact and do not take up too much space. However, they don’t come without any drawbacks: these machines require more maintenance – they are not as easy to clean, and you might need to purchase a separate grinder. Many coffee lovers insist owning a separate good grinder is a must no matter the machine. You can also get a semi-automatic cappuccino machine – you only need to know what you are looking for and the coffee you want to drink to make the best choice. Getting a manual espresso maker would offer you the chance to brew special espresso. However, to use it to its fullest potential, you need to be a true master. If you do decide to put in the effort to learn how to do it, you will feel rewarded with every perfectly brewed cup. The process is not hard – it is just that like anything else, it requires patience, a wish to experiment, and practice. These machines are not the right choice for those ranking convenience above everything else since you can use only fine ground espresso. They are also more expensive but can last for a long time. A capsule espresso coffee machine is a perfect choice for those who want to have a coffee maker that is super easy to clean and very convenient to use. The coffee is not going to be as good as coffee made by the automatic machines, but if you need convenience more than anything else – you will not be disappointed. That does not mean that the quality is bad though. In fact, most of the espressos you drink in restaurants are made using a capsule espresso machine. Finally, you can go for an espresso machine with a steam wand. These types of machine are usually the ones you can easily find in convenient stores, but the problem with these is that they usually cannot be trusted to prepare an authentic espresso. So, although you can get an espresso coffee maker with steam and a grinder, you can surely get something better, for just a small price difference. As always, we understand that making a final choice when there are so many options available on the market is not an easy task, so once again, we are lending you a hand in this quest for the best budget espresso maker for your home. We have reviewed the best coffee makers under $200 and have summarized their main features, as well as the pros and cons of choosing them as the product to buy. Keep in mind that all the reviews of these espresso machines under 200 are based on our opinion about what a good espresso machine is, as much as they are based on research, so make sure to read all the details that we have covered and make an unbiased final decision. Pressure: 15 bar pump pressure. A great choice for latte and cappuccino lovers and espresso aficionados, the Mr. Coffee Café barista premium espresso & cappuccino system will give you the best a semi-automatic coffee machine can give. It is a 3-in-1 maker, offering espresso, cappuccino, and latte making options. It comes with an automatic milk frother, and the water and milk reservoirs are extremely easy to fill and remove. If you choose the Mr. Coffee Café Barista Premium Maker, you will be in for a trouble-free coffee making experience that will yield rich, tasty coffee. Water tank: Removable, 44 oz. The Delonghi ec702 15-bar-pump espresso maker is every brewer’s dream! It is a machine if used correctly, can turn your home into a coffee paradise. Perfect for both espresso and cappuccino lovers, it uses two separate thermostats to ensure the temperature is right for both espresso or cappuccino. The features of the Delonghi espresso 15 bar all work together toward brewing a perfect cup of coffee. Most importantly , preparing espresso is convenient and the cleaning and maintenance of the product is simple and easy. Water tank: Removable, 40.6 oz. The Breville ESP8XL cafe Roma stainless espresso maker is a small espresso maker that is perfect for the homes of cappuccino lovers. It does not make the best espresso when compared to more pricey options, so it might not be the go-to option for those who enjoy a plain cup of espresso, but for people who are more into cappuccinos, this machine is a great way to satisfy their everyday coffee needs. Although it does not come without drawbacks, the price, the convenience of use, and cleaning balance these shortcomings out. Water tank: Removable, 46 oz. If you are looking for the best home espresso machine under 200 dollars, then the Capresso ec100 espresso machine won’t disappoint you! Having this device will allow you to brew both lattes and cappuccinos like a professional in the convenience of your own home. The best thing about it is the ease of use: no need for hard to understand manuals (although when buying a new product reading a manual is always advised), as you can learn everything looking at its intuitive design. To work correctly, the Frothing Sleeve and Steam Tube need to be cleaned of any milk residue from previous use. Water tank: Removable, 37 oz. The de’longhi ecp3420 15″ bar pump espresso and cappuccino machine is a powerful coffee maker with a sleek design that will allow you to make a perfect cup of coffee – every time. The functions of the de’longhi make it easy to adjust the coffee you brew according to your tastes. While we are on the subject of adjustability, let’s not forget You can adjust the unit to accommodate taller cups too. The Delonghi ec155 15 bar pump espresso and cappuccino maker makes preparing a fine cup of espresso or cappuccino a piece of cake. Do annoying start up preparations to make a cup of coffee annoy you? Well, that is a thing of the past, since the self-priming operation of this machine eliminates the need for preparation. The two separate thermostats will make sure the water and steam pressure are controlled separately, thus making it easy to achieve coffee of great quality. Tools: A swiveling steam wand for easy milk is steaming and frothing. The Hamilton Beach espresso machine will take your coffee making to a new level, all without breaking a sweat. Perfect for people who want to save space without compromising quality too much, it doesn’t cost a lot, and it is amazingly easy to operate, so you do not have to put in a lot of effort to make a cup of espresso. The way you operate it cannot be more straightforward: simply choose between a pod of finely ground espresso, and then use the sector dial for steam and espresso functions. Now, our least favorite thing about it is that it is a steam espresso machine that costs just as little as a semi-automatic one. What is the best budget espresso machine for home? 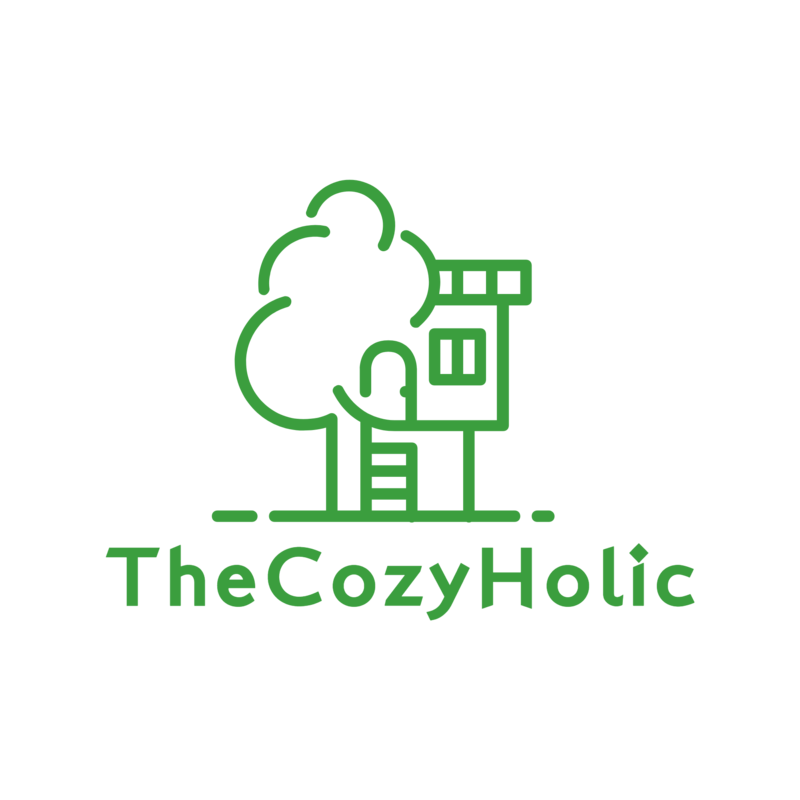 Now that you have read our comprehensive guide to choosing the best coffee maker under 200 dollars, you can go ahead and make a decision on which one to buy. Remember, like any other decision in life, evaluating your needs and your expectations and choose the best machine for your needs. Considering all information, we believe the De’Longhi EC155 15 BAR Pump Espresso and Cappuccino Maker is the best espresso machine under $200 you can get for the money. It is an affordable machine of high quality that has everything a coffee maker for home use should have. If you are interested in spending a little more,the Mr. Coffee Cafe Barista Espresso and Cappuccino Maker is by far the best super automatic espresso machine 2019 has to offer. Oh, and don’t forget, even the most powerful machine is nothing without good, high-quality beans.